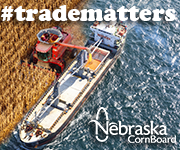 class="post-template-default single single-post postid-339588 single-format-standard group-blog masthead-fixed full-width singular wpb-js-composer js-comp-ver-5.7 vc_responsive"
Nebraska Manufacturing is the topic of the next Rural Radio Forum. It will air on Tuesday October 16, 2018, from 3:00pm to 4:00pm CDT on 880 AM KRVN-Lexington, 840 AM KTIC-West Point, 1600 KNCY-Nebraska City and on 960 AM KNEB-Scottsbluff from 2:00pm to 3:00pm MDT, among other stations in the Rural Radio Network. 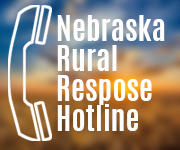 The Rural Radio Forum is an hour-long program presented quarterly by the Rural Radio Network on issues faced by rural Nebraskans. Podcasts of past Rural Radio Forum programs area available at RuralRadio.com. Guests of this special program will include Bryan Slone, Jared Pettit, Scott Miller and Justin Troudt. Slone is president at the Nebraska Chamber of Commerce. He will discuss how manufacturing in Nebraska impacts the economy. Pettit and Miller are associated with Central Community College and will discuss the role CCC plays in preparing students for the manufacturing world. Troudt takes us inside the everyday manufacturing world and their impact on the economy. The program will be hosted by the Rural Radio Network’s Dave Schroeder, Susan Littlefield and Tyler Cavalli.